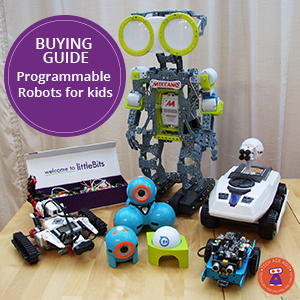 Seedling makes fantastic DIY kits for crafty and maker kids. 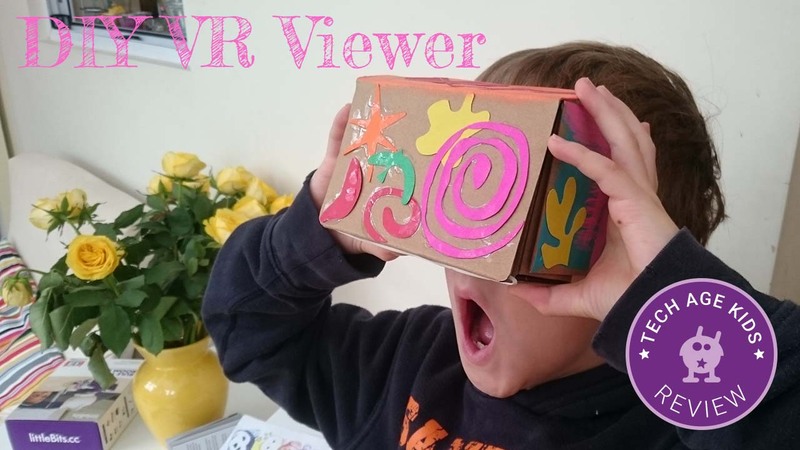 We received their DIY Virtual Reality Viewer to review at home. The Viewer is part of a tech range by Seedling which includes "Design Your Own Headphones" and the Marble Maze Game. All the kits can be stand-alone craft kits, but they can also work together with the MAZE app to design your own marble maze in virtual reality. 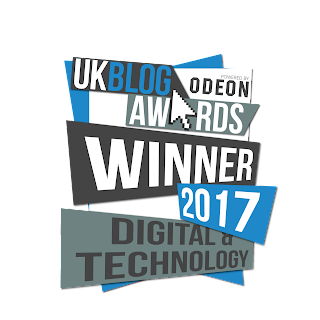 Disclaimer: Asobi (exclusive Seedling distributor in the UK and Ireland) sent us a Seedling DIY Virtual Reality Viewer kit to review. This post is not sponsored and our views and ideas are our own. 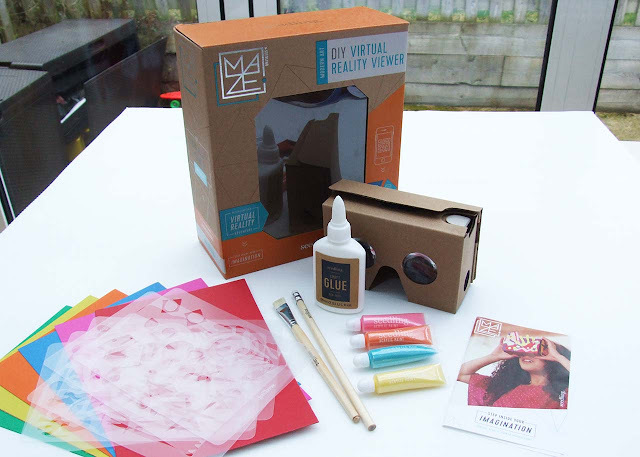 The DIY Virtual Reality Viewer comes in a sizable box which includes a cardboard VR viewer and lots of crafting materials to personalise the viewer. There are 6 stencils, coloured paper, 4 tiny tubes of shiny acrylic paint, white craft glue, a pencil and a paintbrush. There is more craft material than you need to decorate the viewer, so you'll be able to use it for another project. The stencils are reusable which you can either use to trace the shapes onto paper or sponge paint with the stencils. 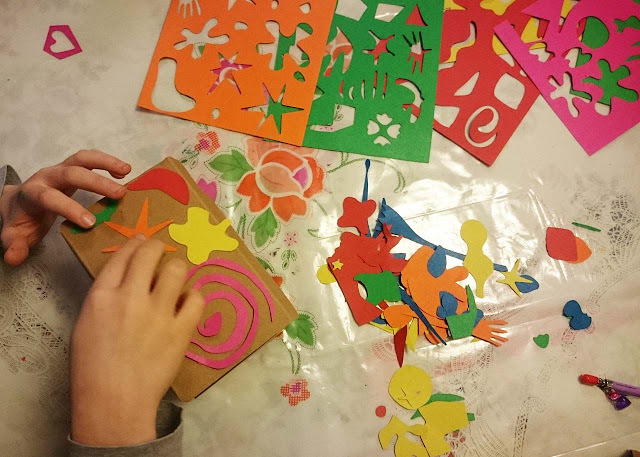 We have a Silhouette craft cutter at home and decided to put it to work to help cut out the modern art shapes on the coloured paper provided. It turned out to be quite the task! But we learnt lots about drawing using a stencil (we traced the stencils on white paper with a black fine liner pen), scanning drawings into the computer, converting them to vector shapes and sending it to our cutter. 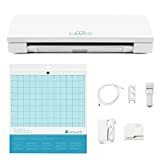 If you have a Silhouette craft cutter at home, we'll spare you the time-consuming task by giving you access to our modern art cut template. I placed as many shapes as possible on the template to minimise waste of the coloured paper. Enjoy! Click here to download the template. This is the type of activity the kids can just get on with on their own. 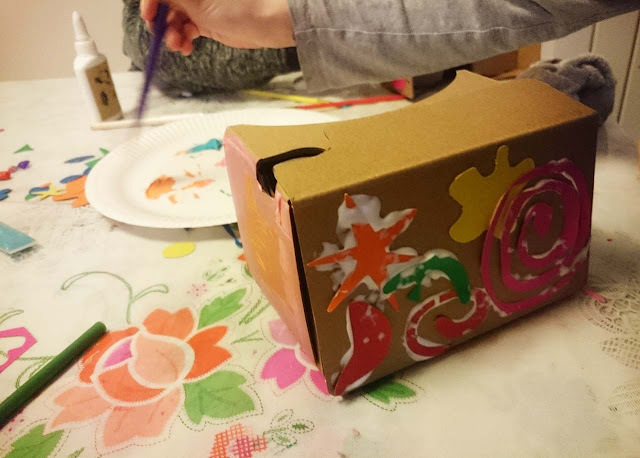 The kit is recommended for ages 8+ but my 6-year-old joined in the activity too and decorated another VR viewer we had from the Mel Science Kit. Just make sure they don't decorate inside the viewer which may obscure the view or paint over the lenses! The white craft glue dries clear so don't worry if it looks a bit like a sticky mess. The paints are great but the paintbrush is poor quality. I had some Crayola paintbrushes in our craft cupboard which we used instead. Crayola paintbrushes from Amazon US | Amazon UK. The VR viewer is compatible with the Seedling Maze App. (More on this in another post). 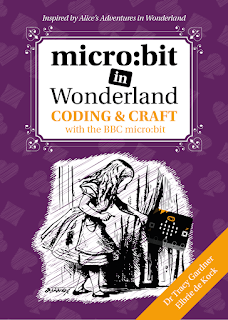 It is also compatible with the Google Cardboard app. We downloaded the Google Cardboard app on my Android mobile. The app asks to scan the QR code on the VR viewer. It worked the first time! Now you can use the personalised viewer to explore the Google cardboard app including other compatible apps. You use the conductive tape "button" on the cardboard viewer to select options in the app. Everyone in the family wanted a go at walking through buildings on Google Earth, or flying with birds, or exploring the Antartic. 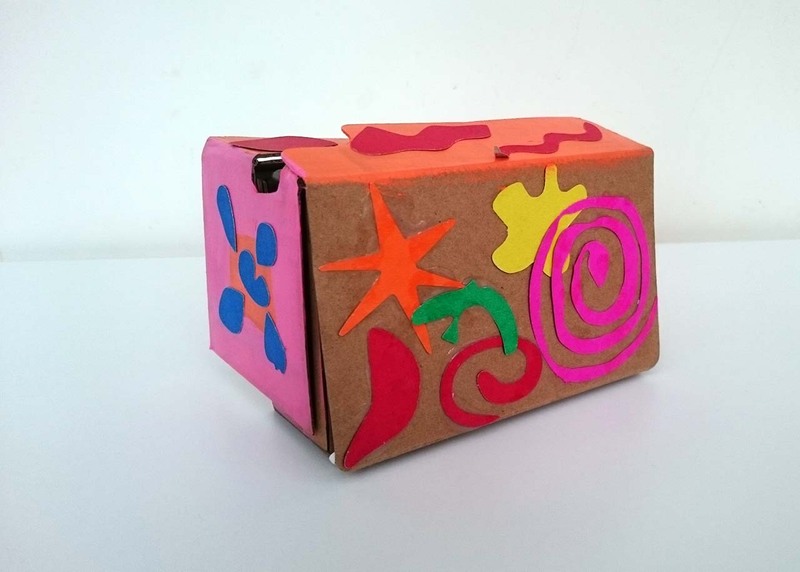 The Google Cardboard provides a really fun and inexpensive way for your family to experience VR technology. 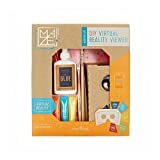 The DIY Virtual Reality Viewer kit makes a great birthday / special occasion gift for a techie kid. It comes with more crafting material than needed to decorate one viewer. You can use the materials to make other projects or decorate another viewer like we did. 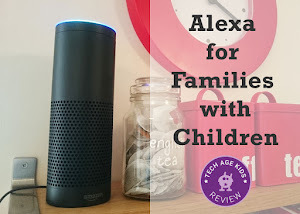 It was a really fun afternoon project for my kids to enjoy and they now have the benefit of a VR viewer they can use for a number of apps, games and videos. 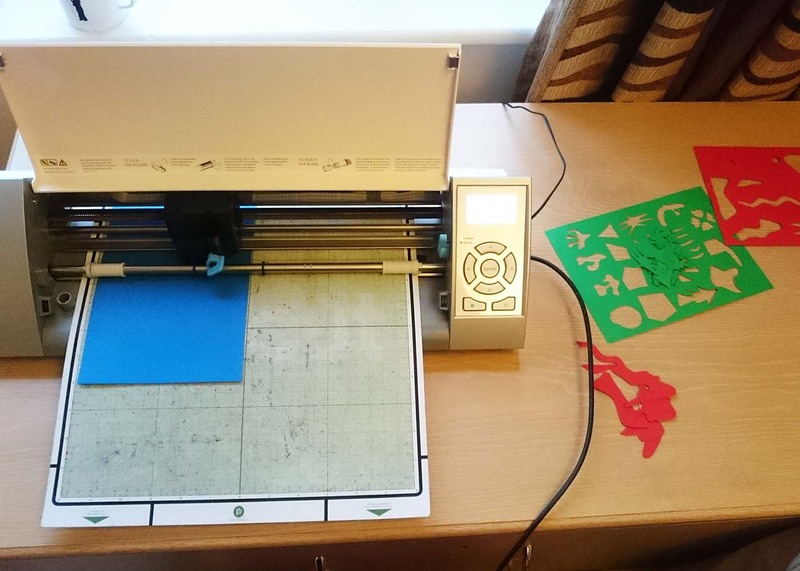 It is possible to make your own DIY personalised viewer with craft material you already have at home. You just need to purchase a Google Cardboard viewer.